Stone fireplace design options are endless with this versatile material that can be transformed into any shape you desire with as little or as many details youd like. As the weather cools across the U.S., it’s the perfect time to get cozy by a warm fire in a stunning stone fireplace. Check out three impressive designs that will keep you warm all winter. A garland of intricately carved flowers is the focal point of this fireplace. The classic garland swoops across the header and is flanked by a large corbel on each side. The beautiful antiqued white marble shows off the intricate details beautifully. This design is easy on the eyes, and will warm up any room with a roaring fire! 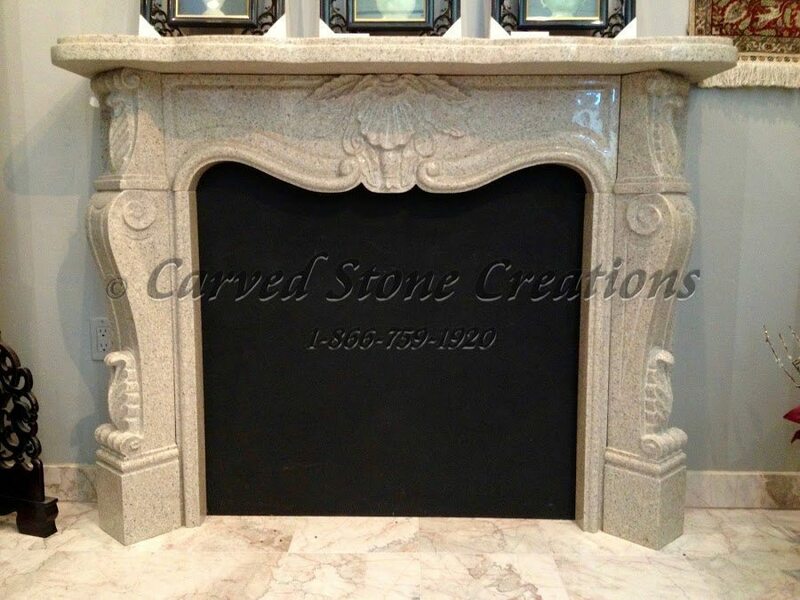 This fireplace surround brings classic French Country charm to your home. 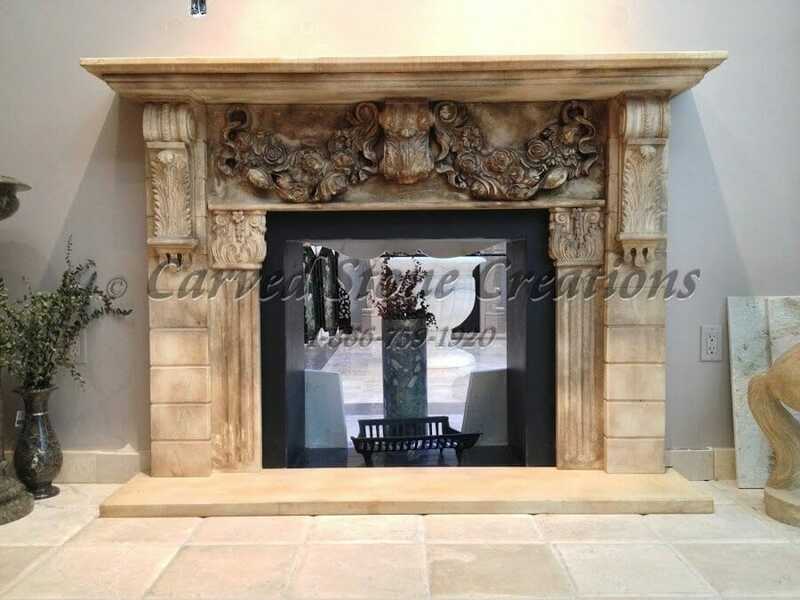 This granite fireplace features handcarved floral and scroll details consistent with 18th century French Country style. Its the perfect style to complete any rooms decor! 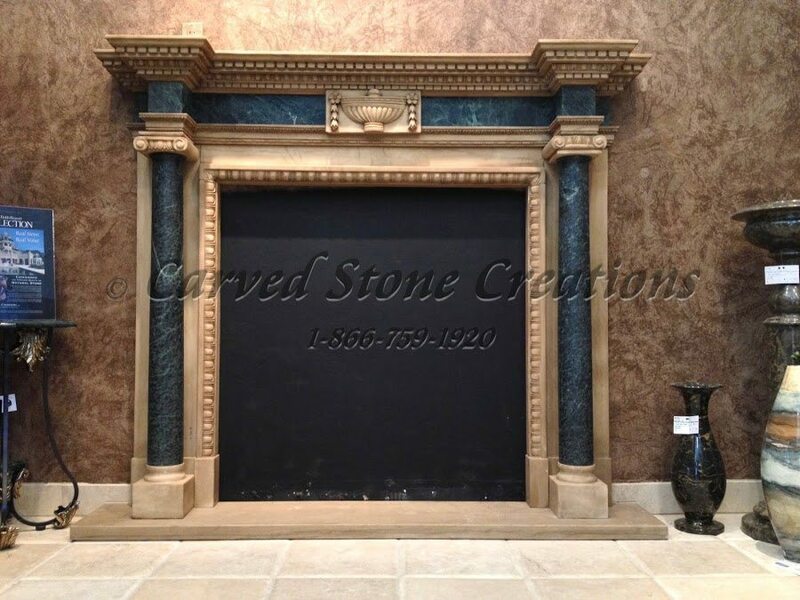 Add some color to your room with this two-toned marble fireplace. It features antiqued white marble carved with classic designs and contrasting emerald green marble header and columns. The variety of colors in this design makes it stand out from the single color fireplace designs. If you are looking to add variety to your home, this fireplace is for you! Adding a stone fireplace to your home will keep it cozy all winter, and the beauty of a natural stone fireplace will last all year long! Shop more stone fireplaces here.